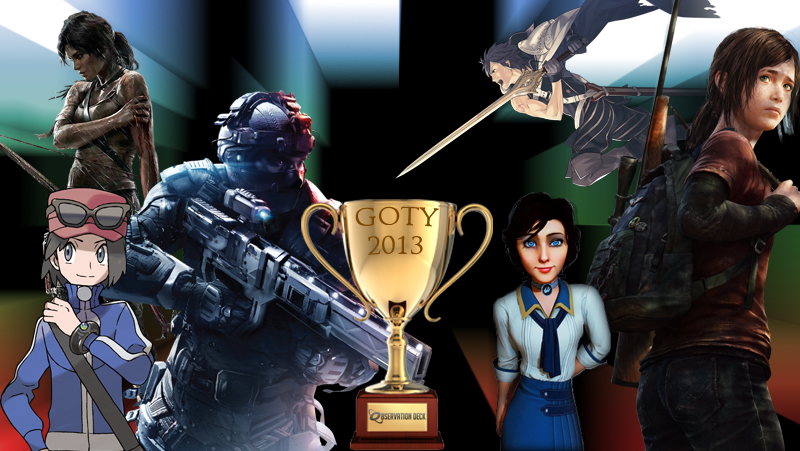 Observation Deck, it's time to vote for your favourite Game of the Year! One vote per user. No takebacks, no multiple votes. The only time you'll have to change your mind is the comment edit window, which is about 15 minutes. So think hard about your decision! You don't have to vote right away, I'll be relinking this thread throughout December, or you can find it under the tag 'Game of the Year 2013'. Please list the Game Title and Platform in BOLD. This one's just to make it easier on me when I'm vote-counting. Sure, your 500 word screed on why Knack might just be the most amazing experience you've had this year could be wonderful, but I don't want to have to dig through that just to find your nomination! The Voting Deadline is Midnight EST on December 30th. That's 5.00 am GMT on December 31st, or 9.00 pm PST December 30th. Any votes timestamped after that won't be counted, and the winner will be unveiled in a special GOTY-edition of Tuesday Game Room on New Years Eve at 2pm EST. So go on, get voting in the comments!